The National Independent Electoral Commission has organized this Tuesday March 6, a meeting with its electoral partners on the preparation progress with the Constitutional referendum scheduled for May 2018. Those partners were representatives of the diplomatic and consular corps in Bujumbura, leaders of civil society organizations, political parties, parliamentarians and members of the government. In the meeting, various partners expressed their concerns about the irregularities observed in this ongoing process. “Serious irregularities occurred in the establishment of CENI branches such as the Independent Communal Electoral Commission. I worry about the next steps, “said Pierre Celestin Ndikumana, Chairman of the parliamentary group of the opposition Coalition Amizero y’Abarundi. This MP asked for guarantees if politicians who support the revision of Burundi Constitution and those who are against the change of Constitution will really have the same chance to teach the population to vote ‘yes’ or ‘no’ in the constitutional referendum. He also wondered what CENI commissioners plan to do for people who appealed to the population to vote “yes” in the upcoming constitutional referendum during the campaign for explaining the content of the new constitution project. “They violated the electoral code since the campaign to ask people to vote ‘yes or no’ was not yet launched,” said Ndikumana. 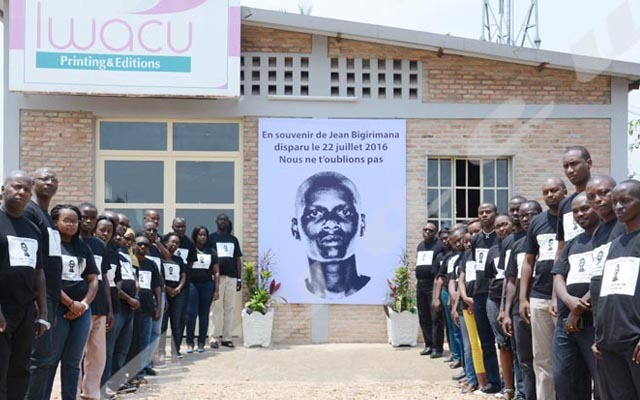 Gilbert Bécaud Njangwa, the chairman of the civil society organization ONELOP Burundi affirmed that the voters ‘registration process was credible and inclusive. He, however, criticized the absence of political observers in the registration process. For Pierre Claver Ndayicariye, CENI Chairman, the few isolated cases of irregularities observed cannot question the credibility of the referendum process. These are minor incidents, he said.